Edward Snowden's lawyer Ben Winzer talks to Index about his client and what the loss of privacy to the secret state means to the future of free expression. Ben Wizner is a director of the American Civil Liberties Union (ACLU) Speech, Privacy & Technology Project — which is dedicated to protecting and expanding individuals’ right to privacy, as well as increasing the control that one has over their personal information, ensuring that civil liberties are enhanced, rather than compromised, by new advances in science and technology. Winzer has litigated numerous cases involving post-9/11 civil liberty abuses. These include challenges to airport security policies, government watchlists, extraordinary rendition, and torture. He has testified before US Congress, and also traveled several times to Guantánamo Bay, where he has met people who have been held against their will in secret prisons and tortured by the CIA. In July 2013, one month after the revelations about the NSA’s practices came to light, Winzer became Edward Snowden’s attorney. He was put in contact with him directly through the journalist Glenn Greenwald. I spoke to Wizner, focusing specifically on the issue of maintaining democratic accountability as technology advances. He spoke about why he thinks Snowden’s actions to break the law were justified for the sake of the public interest; why we should be worried about relinquishing our privacy over to a secret state, as well as corporations that keep all of our data to ensure that they can target us on a daily basis with advertisements; and why both Congress and the courts, in the United States, have been weak when it comes to protecting individual privacy of American citizens. Index: With respect to tracking devices and GPS systems, can you discuss how important location has become for both governments and corporations who now spy on us as citizens? Winzer: Well think about it in terms of privacy before you think about it from the point of view of power. The location data is a proxy for so many intimate details of our lives. Governments can use location data to learn if you are gay or straight, who you are sleeping with, whether you are an alcoholic, or if you have medical conditions. That information is even more useful than he content of conversations. When people are eavesdropping on conversations you can lie and you can use code. But with meta data people can’t lie. So we have kind of gotten this debate about privacy backwards. People think that content is more sensitive than meta data. But in bulk, meta data is more sensitive than content. If you ask any law enforcement officer if they were given the choice in a single day, of having your phone calls, or having the meta data, they would take the phone calls. But if they were given the phone calls for a month or two months, they would take the meta data. Index: Is there really a need in your opinion for the surveillance cameras that operate in places like London, which appears to have more security cameras per square foot than almost anywhere in the world? And is there presence really just creating a culture in western society of fear rather than trust? Winzer: The issues with cameras, as with so many tracking technologies, is that they are sold to the public as one thing but they are actually something else. There is very little evidence to suggest that surveillance cameras will prevent anything like the bombings that London had in its transportation system in 2005. There is some evidence, however, that surveillance cameras are useful, not as a predictive technology, but as a forensic technology. In the US, the position that we have tried to take is that there is a difference between a system like London’s, where the government controls a huge set of surveillance cameras and can track an individual across the city in real time. So what had you in Boston after the bombings in 2013, was that cameras helped the FBI figure out who had started that terrorist attack. But there was no centralised system. It was just that all the privately held data was brought together after that emergency in order to solve that crime. So there you had the forensic benefit without the threat of giving the government that much power to track citizens in real time. What has been interesting in the US is that while most Americans have been supportive of surveillance cameras, they have a very different reaction to surveillance drones. And its worth thinking about why that might be? There are already cameras that can be surmounted on drones that can survey an entire city in real time and record every inch of the public space. And so that seems like a permanent eye in the sky. Whereas I think people have a sense that they can avoid cameras, even if that is not true. But I wonder if citizens in the UK who were enthusiastic about surveillance cameras would feel differently if the authorities were flying surveillance drones around London? Index: When was the first time you met Edward Snowden? Winzer: I had never heard his name until the Guardian published the Snowden revelations in June 2013. The first time that we interacted over an encrypted chat programme was in July of 2013. The first time we met face to face was in Moscow in January of 2014. And by that time we were old friends, having communicated on almost a daily basis for almost six months. Index: Are you confident that you can get him back to the United States as a free man? Winzer: It’s certainly the goal to get him back to the United States with dignity and freedom. The second goal would be to get him to a country in Europe or somewhere else. But in the meantime his morale is high. And his life is not so different than if he were living in another country. He spends his days in Moscow for the most part surrounded by computer screens, consuming information, communicating with journalists, lawyers, and participating in the public debate. And before long I think we will see him getting back to work as an engineer and a computer scientist creating tools to make mass surveillance more difficult and to protect privacy. But wherever he lives in the world he wants a very private life. He is someone who would prefer to be anonymous and in the shadows. The good news is that he is still living in freedom and because of technology he is able to participate meaningfully in the public debate. Index: Can you speak about your experience in the pre Snowden era when the ACLU(American Civil Liberties Union) tried to challenge these illegal spying programmes by the NSA in open courts: did the the US government and US courts say that you didn’t have legal standings to peruse these legal challenges? And how did the actions of Edward Snowden change that? Winzer: Snowden’s actions did change a lot. One of the questions he asked me during our first conversation was: do you now have standing to bring these cases? Because he had watched how our challenge to surveillance programmes were thrown out. Not because the courts said the programmes were legal, but because they said that the programmes had no right to be in court. I spent a lot of time representing those who were victims of the Bush Administration’s torture conspiracy: people who were kidnapped off the street and held by the CIA and tortured. And every one of those cases was thrown out on grounds of state secrecy. So I did not have a lot of confidence in the courts from the moment that Snowden arrived. But now I think the atmosphere around these judicial decisions has changed considerably. Index: Why have Congress and the courts been so weak in the US thus far on this matter? Winzer: Well one reason is that the military surveillance-industrial-complex is massively powerful and corrupt. And if you track campaign donations, you will see that members of Congress who sit on intelligence committees get massively higher campaign donations from the community that they are supposed to regulate: the surveillance and defence contractors who are doing this work. That creates a situation where the people who are most sceptical, are in fact most deferential. But there is political expedience. Who in Congress after 9/11 wanted to be the person who would say: I think the NSA and CIA are going too far.When the Patriot Act legislation was rushed through congress, the vote in the senate was 98 to 1. So the politics of national security can be very toxic in the US. Index: And is it the same situation in the courts do you believe? Winzer: Yes. Imagine, for example, you are a judge, and you are considering a law suit about surveillance or torture. And somebody comes to your chambers from the Department of Justice with a brief case handcuffed to his wrist. And inside it is a secret deceleration from the head of CIA, which says: your honour with all due respect, if you allow this case to go ahead you are going to be responsible for all grave harm to national security. I think most judges in that situation would rather kick the case up stairs. If the judges are going to be involved, let the Supreme Court do it. And many of them have so much respect for the national security officials who are writing those declarations. Index: But like Congress, the courts are responsive to the public mood, right? Winzer: Well since Snowden, we have seem judges who are much more willing to stand up to the government arguments. We’ve seen one court say that the NSA’s meta data collection programme was unconstitutional and almost Orwellian. So our Supreme Court is not apolitical. This is tremendous power on the government’s side that is consolidated in one branch of government. And so it’s very easy to see scenarios that would be grave threats to democracy.Some of the them sound paranoid. For example, what if someone in the executive branch wanted to blackmail the justice of the Supreme Court. That would be a trivial matter to do. What prevents it are internal policies and laws. And you have to have a lot of confidence in those policies and laws. And so this is why people use the term data bases of ruin. If we collect these massive amounts of information we really are sitting on a ticking time bomb. And we might be confident that it’s never going to blow up. But we have to be sure that we are making our right way to the future. Index: Given that we now live in a world where nothing is permanently delated, and where everything is stored in a digital cloud: do you think it’s time there are the same legal protections for email that there is for normal mail? And have the ACLU been doing anything to try and ensure that this happens? Winzer: We have reached a point where, for the most part, we are there with email. All of the major email providers in the US refuse to disclose email content to law enforcement without a warrant. There is not a lot of case law on this, because the government has been very careful to avoid having courts decide this question, they drop appeals, rather than litigating the question. The federal law that governs law enforcement access to emails is from 1986, before there was a World Wide Web. And that is wildly out of date. So we do need to update that. But there is all other kinds of information that gets stored in a digital cloud. Index: Can you explain The Third Party Doctrine and how that affects the rights of US citizens, in terms of giving away their privacy? Winzer: With The Third Party Doctrine the government basically argues that if we provide that information to a third party— a cloud service for example— that our Fourth Amendment [our right to privacy under the US Constitution] is waived. So that is the argument that government makes to defend the constitutionality of the NSA collecting the meta data of all phone calls that happen every day. Their argument is that by simply dialling the number, you have shared it, with say, for example, the telephone company Verizon, and therefore you can’t claim that the constitution prevents the government from having that same access. This argument made no sense in the 1970s and it certainly makes no sense today, where the government is not collecting phone numbers from one person’s phone calls, but from everybody’s phone calls, every day. The difference in degree amounts to a difference in kind. It’s not just a question of scale, it’s a completely different surveillance activity. Again, it’s really about how advances in technology should not diminish our rights. We should essentially use the models that we developed for the analogue world in figuring out what legal protections we are going to need in the digital world. Index: Are the laws in the US, with regards to privacy, woefully inadequate? Winzer: Yes. But there has been a lot of momentum and progress. And now we are seeing a handful of US states that have passed laws: these say that the government needs a warrant before it can get your location from a phone company. So there is a more broad coalition for privacy protection. And we are seeing progress in the courts. In the last two years we have seen two unanimous decisions in the Supreme Courts, one where law enforcement ruled that if they cease your cell phone during your arrest they have to get a warrant before they search it. The second is that they said they have to get a Fourth Amendment search for the government to use GPS to track you over time. There is a lot of momentum in the US towards some of the kind of changes that are necessary. It would be much harder to implement those changes with respect to spy agencies like the NSA. So far we have made a lot more progress in restraining law enforcements. But again most Americans are more likely to have interactions with spy agencies. Index: Where does one draw the line between a certain amount of secrecy to protect the national interest of a nation for security purposes, and then something that boarders on a totalitarian government. And at the moment is the US government in the latter category? Winzer: The problem of secrecy in a democracy is a very old one. We need to ask what happens when there is a conflict between self rule and self defence?Even in a democracy most of us believe that there are some legitimate secrets that have to do with national defence. So how do you bridge that gap? For the most part I think the way in which we have tried to bridge that gap has failed. We have intelligent committees in Congress that is supposed to rigorous oversight on behalf of all of us. But too often those members of Congress are most likely to rubber stamp and cheerlead for the intelligence agencies, rather than subjecting them to scrutiny. Courts in the US for a long time now have not wanted to get their hands dirty on issues of national security. And more often than not they defer to the executive branch by saying that they are not experts on these issues. So for the ACLU, one of the very important safety-valves has been whistle blowers and a free press. There is never going to be a neat structural solution to the oversight programmes in democracies. It’s going to be a constant struggle. We need the Edward Snowden’s of this world and the hundreds of leakers whose names are never known. But who provide access that appears everyday in newspapers. Index: How can we differentiate between government’s and companies spying on citizens. And which is worse in the long term? Winzer: We need to understand what is at stake with each kind of collection. Sometimes they are linked. To the extent that the government is able to get information from the companies. But in general governments have powers that corporations don’t have. Governments can take away your liberty and your life. They can target drone strikes. They can lock you up. So traditional civil libertarians and human rights activists are concerned about government surveillance programmes. Mainly because that is where the democratic harms occur and where people can lose their core rights. Index: Since the Snowden revelations have come out: what do you think we have learned about the relationship between privacy and technology that we may have not have fully understood as a society before them? Winzer: I would break up that “we” into two different groups. The various technology groups learned that their worst fears about government surveillance were not even close to what was actually going on. That the NSA and its partners far exceed what they knew was going on. And it woke them up to the actual threat model. And I hope what the general public has absorbed from the Ed Snowden affair is that we were asleep at the wheel. Now it wasn’t our fault. Our government didn’t only conceal this information from us they actively lied to us about it. Which is why I think Snowden was justified in doing what he did. But we now need to be much more active citizens in a democracy if we don’t want our society to be created in secret by spy agencies. Index: What is your response to those who say that Edward Snowden is a traitor to the American people? Winzer: People who believe that are not persuadable anyway. These are people who have spent their careers indoctrinated in the defence and intelligence agencies. In their view, he took upon himself to do this and the result of that was so damaging to their public reputations around the world. These are people who don’t consider themselves to be evil actors, but solid citizens and good bureaucrats. There has been times in our history, when it is necessary to break the law in order to vindicate it. For example in the founding of the United States, where people threw tea into Boston Harbour, to more recently in 1971 when a bunch of anti-war activists broke into an FBI office in Pennsylvania and stole all of the FBI files: leading to one of the most important periods of reform in the country’s history. 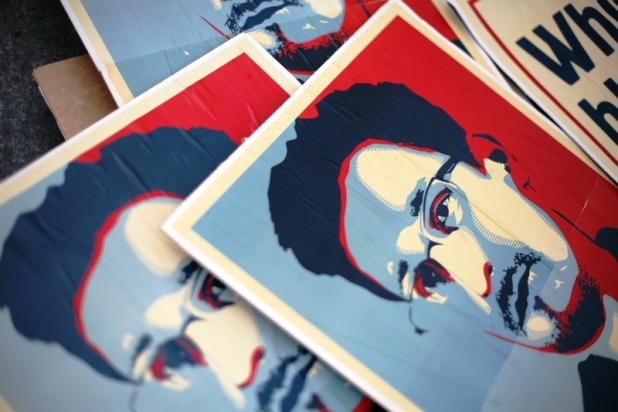 Index: So are people wrong to question Snowden’s judgment? Winzer: People are free to question Edward Snowden’s judgment. But I hope by now they don’t question his motivations. He acted in every way that the public interest by setting guidelines for what they should and should not publish from the material. I believe he behaved in the most reasonable way that he could in these circumstances. Moreover, I wonder would those people question the patriotism of our national security, people who went before our Congress and not only concealed from the public what they were doing, but also lied under oath about what they were doing. I wonder would those same people question the patriotism of the traditional oversight bodies that essentially didn’t do their job between the period between 9/11 and now. Most people, including President Obama, have said that the debate we are having here in the US about privacy is an important one that will make us stronger. And there is no way that this debate would have happened without Edward Snowden’s actions. I wish Winzer had been asked about H.R. 4681, Sec. 309 authorizes “the acquisition, retention, and dissemination” of nonpublic communications, including those to and from U.S. persons. Which overrides the need for police to get a warrant to search you I phone.